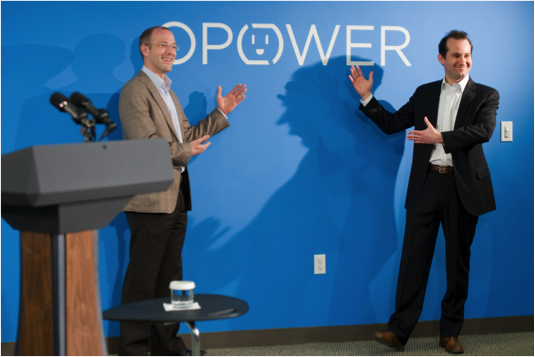 Opower was acquired by Oracle in 2016. The following post by Peter Wagner describes the company's early days and its subsequent growth. In 2006, there was a crescendo of noise around cleantech investing. The claims were starry-eyed and breathless: “These are the world’s biggest markets!” “We aren’t investing in IT anymore!” Legendary venture capitalists actually said those things. Back at Accel, we wondered if we might be missing something, and I volunteered to lead a part-time investigation of the space. The early results were dubious. Most of the sectors were extremely capital-intensive, and sometimes even involved competing with the Chinese government. Solar cells? Biofuels? Batteries? Huge swathes of the cleantech landscape seemed to be well outside of the venture model, in which moderate amounts of capital plus massive amounts of innovation can be used to create significant value. After a lot of looking and no investing, things looked bleak. I was beginning to question how much longer we should continue this investigation. But I have a hard time quitting things once I’ve started, and gradually came to believe there would be opportunity in the application of IT – specifically data analytics -- to energy problems. Around this time my partner Sameer Gandhi connected with Dan Yates and Alex Laskey, who were raising the first venture round for a company called Positive Energy. 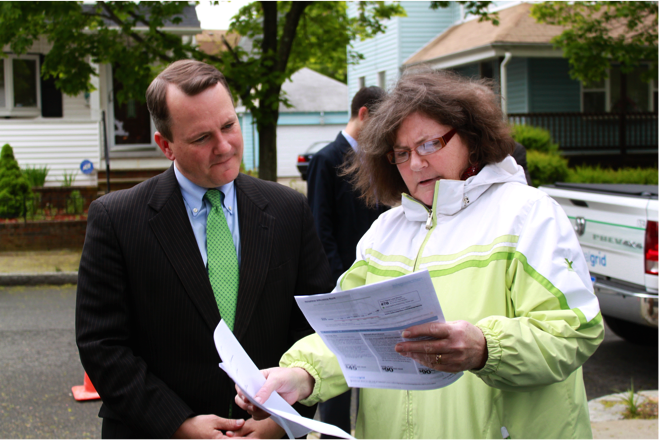 The company was offering a behavioral science-based approach to energy efficiency for utilities. They had an early municipal customer and a decidedly low-tech product based on paper reports delivered through the US Postal Service! We loved the measurable value proposition and capital efficiency, but most of all we loved the founders. Dan and Alex consistently questioned conventional wisdom, followed their instincts even when it wasn’t fashionable, and were building an inspiring, creative culture that would become one of the company’s core assets. We tried hard to lead this financing, but lost out to Jon Sakoda and Harry Weller of NEA’s office in Washington DC, where Positive Energy was located. A couple more years of frog-kissing in cleantech ensued, with little to show for it. Fortunately, I had not quit my “day job” investing in Business Technology so I had plenty of more productive things to do. Then in 2010 I got a call out of the blue from Dan, who was going to raise his next round at the newly rechristened Opower. We jumped at the chance and succeeded in co-leading what would end up being the company’s last private financing. It was an unbelievably competitive process, with several of venture’s leading lights jumping on redeyes to woo Alex and Dan. In the end this enthusiasm proved to be well-founded, as Opower executed its highly successful IPO in April, 2014. As it turns out, Opower is only tangentially an energy investment. In reality, it is a SaaS company – perhaps the ultimate expression of the “land and expand” strategy. Whereas most SaaS startups target the SMB and mid-market segments, Opower goes after some of the largest and most conservative enterprises on the planet: utilities. Alex deserves tremendous credit for Opower’s success in penetrating this “mission impossible” market, a segment that most sane entrepreneurs wouldn’t dare to call on, much less bet their company on. Landing that first investor-owned utility customer took painstaking effort, and proved to be a watershed moment. Today Opower serves the majority of large North American utilities, a feat few other than the team itself thought possible. Opower has built on this amazing account position by expanding its offerings and deepening their value. Data has been the essential ingredient. The heart of the Opower proposition is helping customers turn fallow data assets into concrete value. This requires a combination of leading-edge data science with a rare understanding of the unique utility business model. The company continues to evolve its data strategy, and is now well on its way to becoming an Internet-of-Things company with its intelligent connected thermostat offering. Alex and Dan have unique backgrounds and ways of looking at the world, forged in domains like education and politics that stand outside the Silicon Valley echo chamber. They also have courage of conviction, which drives them to follow an independent path well outside the industry dogma. We have found that such orthogonal, cross-grain thinking stands behind the biggest entrepreneurial success stories. Such opportunities can be hard to recognize, but for precisely that reason can sometimes make the biggest impact.